This Churchill is a mellow smoke but with full flavor. It is exceptionally smooth with a great burn and perfect draw. Its vintage tobaccos hail from the DR and Honduras. It uses a light brown Connecticut wrapper, which makes it especially smooth and gives you that nice creamy taste. It comes in a fresh sealed pack with 5 cigars to a pack making sure your smokes remain fresh from our door to yours. Not having to much experience about the different types of cigar, and knowing that mild cigars are my preference I have to say that these cigars are excellent for my palate. Good cigar to smoke while having a coffee drink! Smooth creamy with a slight hint of cedar flavor, mild! What a beautiful cigar. Silky smooth Connecticut wrapper. Excellent construction. Perfect burn. Perfect draw. I've never been a fan of mild/mellow cigars, but I'm a changed man, now. Don't tell anyone how inexpensive these are or you won't be able to keep them in stock. Please understand that I do not have a developed palate. I don't taste the flavors that many of the reviewers talk about. I also cannot tolerate much nicotine, so I have to smoke mild cigars. Having said that, I smoked my first Case de Garcia Connecticut today and it was as good or better than any other Connecticut I have ever tried. It was very mild, the burn was excellent, the draw was excellent. Assuming they are all like this one, I would highly recommend it and the price is incredible!!! You really can't beat these for the price. They are a mild smoke that is great for the everyday burn. I like to have one after doing yard work and such. Great cigar for the price, I smoke them while golfing! Tasted grassy.Burnt bad.But it was sampler so,oh well. You cannot go wrong with these 5 packs. Excellent price for an amazing smoke. Perfect draw, taste is great and mild and smokes perfectly the whole way. 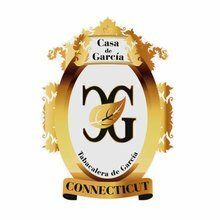 Casa y Garcia is one of my favorite brands. This cigar seems to only be available from JR...I really like this mild cigar...it's affordable and surprisingly nice. I'd recommend it to persons who are "new" to cigar smoking. I had smoked three of the Casa de Garcia Connecticut Churchills and they were good, with no burn issues and never had to re-light. The fourth one I smoked was a bad one. There was very little smoke and I fiddled with it for about 15 minutes and put it out of it's misery. I picked up a Maduro of the same cigar at a local place and it was very good. I just smoked another Connecticut today and it was fine. I suppose the bad one was plugged. Still for the flavor and price, these are well worth buying. Fine flavor but poor construction causes mediocre draw and poor, irregular burn. Would not purchase again despite the great price. OK smoke. Burns quickly because of loose construction. But, decent for an inexpensive cigar.